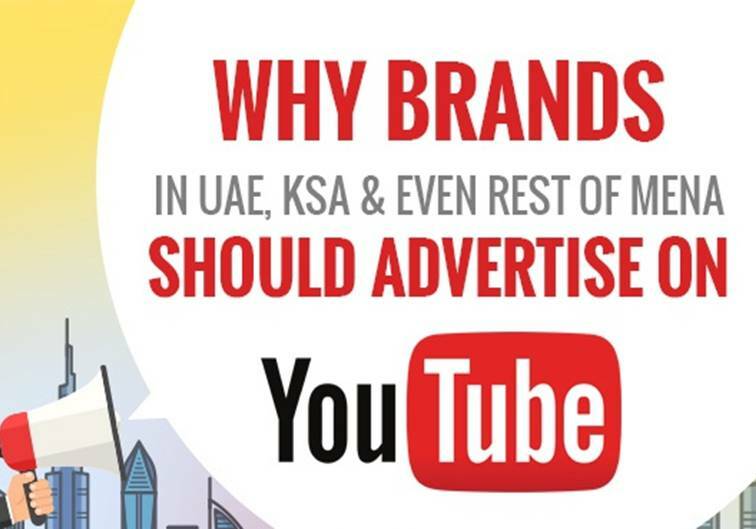 Businesses with an audience in the MENA region should take note – the key Pay Per Click advertising channel of 2017 is not going to be FB or Google, but online videos. People are switching to them for entertainment or stress relief; to gain knowledge and updates, or just as a way to kill time, and YouTube is the No. 1 source. As the world’s biggest platform with over 1.3 billion unique users, YouTube doubles up as the 2nd largest search engine, making it a perfect platform to get discovered. Furthermore, it’s one of the most cost-effective platforms for advertisers, with 66% less wastage than regular TV ads. 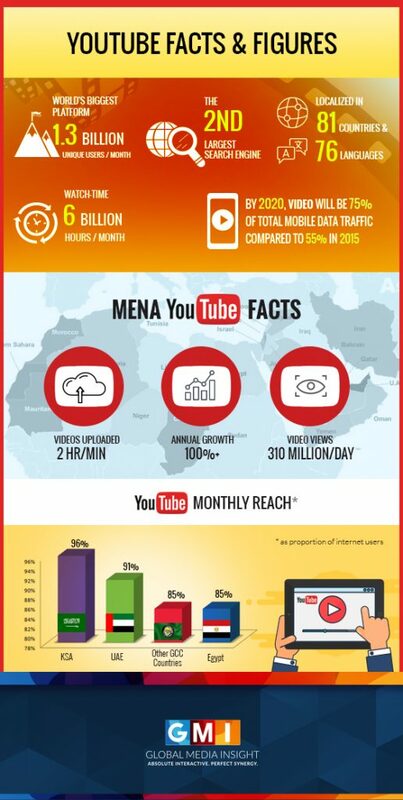 Localized for 81 countries in over 76 languages, YouTube has shown phenomenal growth in the MENA region, clocking in over 310 million views per day. This translates to over 96% in the KSA and 91% in the UAE. Plenty of opportunities for micro and niche audience targeting. This opens up your business to visitors who would have never come across your brand any other way. On an average, 50% of viewers recall a video ad. So if they don’t engage with your ad, the chances are that they’ll still remember it. This equals to free branding, which is simply the best! YouTube has controls for precise ad targeting, so you only need to spend according to your budget. Since humans are primarily visual learners, a YouTube channel is a great way to demonstrate your expertise on a topic. Compared to reading text, 60% of people prefer to spend more time watching videos. Combine all of the above, and you get an excellent marketing opportunity at a lower cost than other forms of digital advertising. Built-in analytics that makes it easy to observe your ad’s performance, run multiple ads, and measure the results to see what works. The result? Higher website traffic and a 43% increase in conversions. YouTube offers six types of video ad formats. While display and overlay ads work on desktop, the remaining work on desktop and mobile. To maximize revenue, advertisers can run multiple formats. The time to advertise your business through online videos is now. Saleable channels like this tend to get saturated quickly, which means that the costs of advertising on YouTube will increase over the next few years. 70% of marketers state that YouTube produces more conversions than any other content. Harness the power of online video channels for your business. Talk to our team of specialists today.